Continuing the Campbell condo tour, in the previous post I went over the details of the main level of the condo, so now lets visit the upstairs. The first stop once you went upstairs was the master bedroom, seen below. The window had some beautiful views of the mountains in the distance, the city, and over towards the right side is the soaring Campbell water tower. Every master bedroom we've had has featured a black wall behind the bed, and that was the first thing we added to this room once we moved in (and we're going to be continuing that tradition at the Fairmount house here in Portland soon). Overall, the room was quite large with more than enough space for a bed area as well as a sitting and lounging area, with the closet and bathroom tucked behind the sitting space. The next room upstairs was our shared office. This was the room that we spent the most time in year-round. It was always the quietest room in the home, and in the winter it was always the warmest. It was a great space for working, creating, and relaxing. We'll need to replicate this experience in the Fairmount house. Oh, and my deskspace is on the side with the headless manequin… just in case you were curious! Finally the last notable space upstairs was the art studio. Sadly, we didn't make much use of this space. In reality it was primarily the cat's space, as this was where we kept their food and litter box. We're adding a larger and more functional studio into the Fairmount house the we hope to really use. With the Campbell condo in contract now, it seems as good a time as ever to finally share a home tour of it. 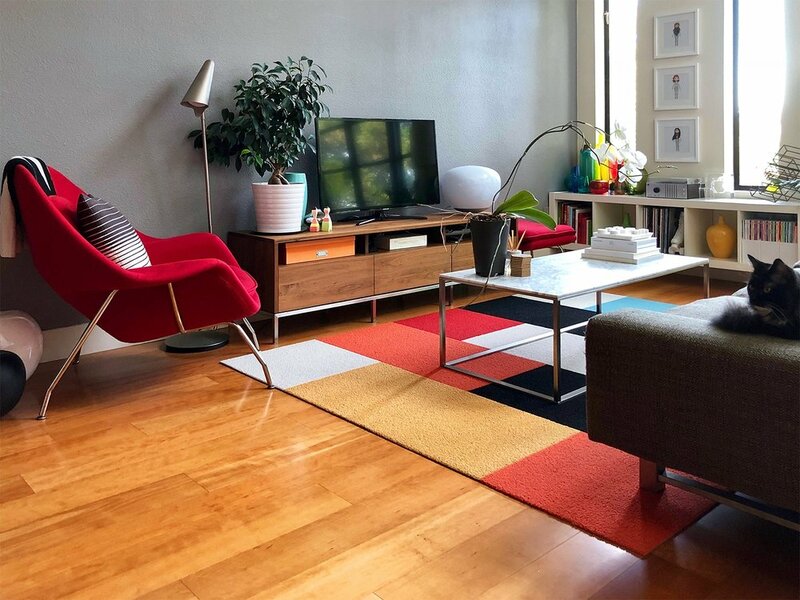 We've always been very private about sharing pictures of our home online in the past, but considering that the MLS listing had a bunch of more photos, sharing a few of our own favorite personal photos seems harmless now. Plus, it'll be good for me to have a retrievable record of the furniture arrangement and other design details, should I ever want to refer to them! The Campbell condo was pretty large for an average condo, and always felt a lot more like a house than a condo… possibly because the architect was the careful about placing windows on all four sides of the condo, allowing light to always stream into the home as well as to give different vantage points. The space inside allowed us to play with a multitude of room layouts as well as functions. Some rooms instantly worked out function-wise, and some rooms I always felt didn't reach their full potential… but all in all the amount of space we had here was a blessing, and we will really miss this place as well as the city of Campbell. 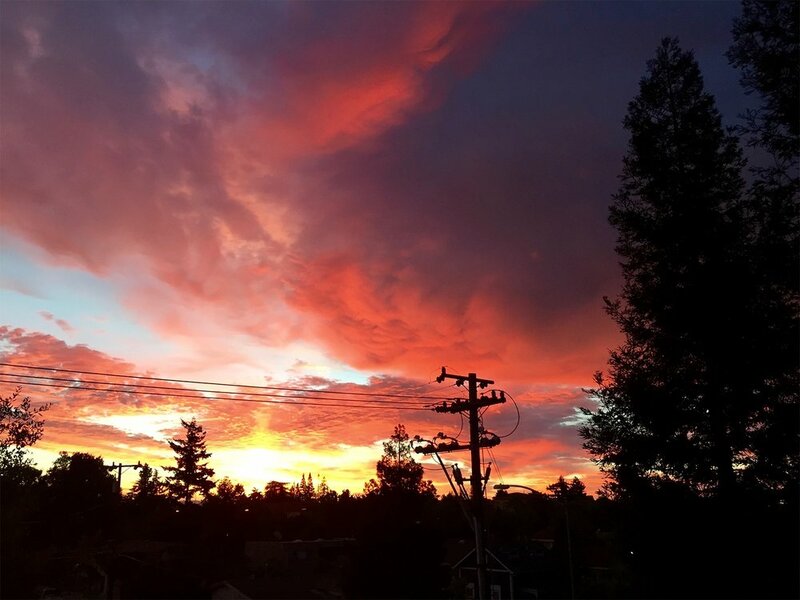 Speaking of which, for those of you that aren't familiar with Campbell, it is a wonderful small city in the Santa Clara County of California. 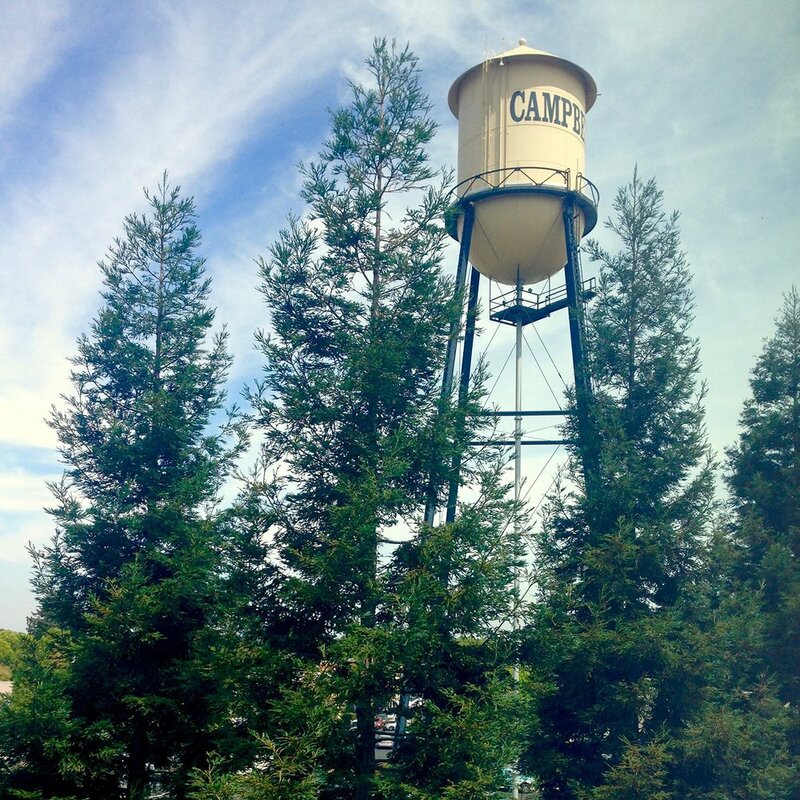 We lived in the historic downtown, pretty much right next to the historic Campbell water tower. The downtown itself is smallish but very vibrant, with lots of activities like the year-round Farmer's Market every Sunday, monthly art festivals, and multiple family events throughout the year. The main street is also home to many great restaurants (we're going to miss La Pizzeria more than they'll ever know!) and small retail shops. Past the dining room was the living room, seen below, and it was easily my favorite space in the entire condo (that is probably why I have so many photos of it – even though we very rarely actually spent time in the living room, it was pretty to look at daily). The amount of light that flooded this area was magnificent, and the high ceiling here made the space instantly welcoming. The one regret I have is that I never found the right piece of art to display on the long gray wall behind the television. Once I painted the wall gray I instantly wanted to paint a very wide abstract painting to place there, but I never got around to it; the wall stayed bare the entire nearly 6 years we lived there. Aside from the rooms picture above, the main level of the condo also had a guest room and a bathroom… neither of which ever photographed spectacularly well, so I'l skip them. The main level of the Campbell condo was a great space for entertaining, and although we didn't use it as often as we would have liked, we certainly will miss it. Hello, and welcome to Xanthicasa! I mainly intend to use this blog to catalog the design process of our new house (more on that to come…), but also to post about random life occurrences and events. Most of the posts will probably be written by me, but occasionally Jon, my husband, will probably make a post every now and then. Thanks for stopping by. We're very excited to share more updates soon!